If we are going to be saddled with extended drought into the future, we are ethically bound to respond in a creative and positive way. We try to avoid being a drain on anybody, any thing or any institution, including government. This is all part of our commitment to a philosophy of living an independent life. Possibly something akin to true philosophical anarchism. It’s not a matter of bringing down any government, but rather a case of being so independent that government atrophying due to lack of need. So the drought continues and we have ordered 2 new water tanks. 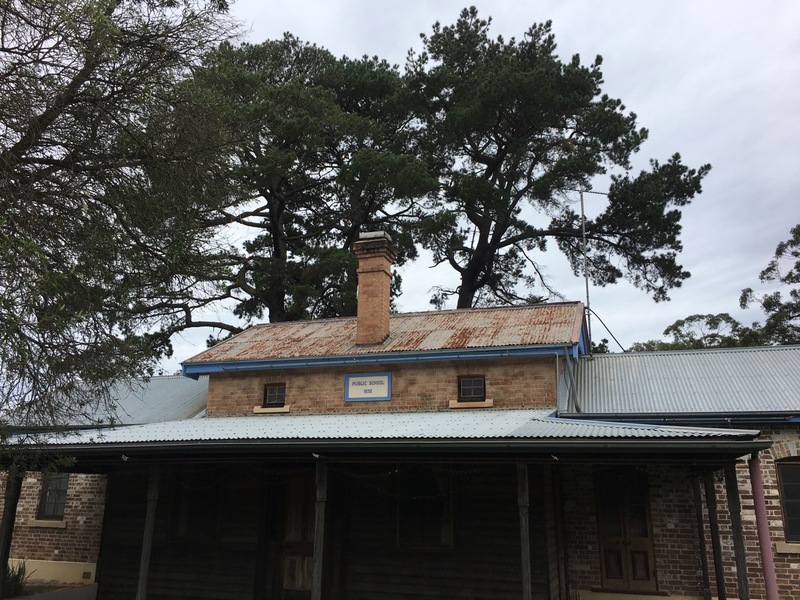 The first has already arrived and been installed on the smaller front section of the Old Railway Station roof a few weeks ago. The new, and slightly larger tank arrived today and we installed it on the back and slightly larger section of roof. With 4,500 and now 7,500 litres of added storage, the Old Railway Station building is now adding to our overall commitment to self-reliance in drinking water. Another one smites the dust. The Old Station is not a very big building. 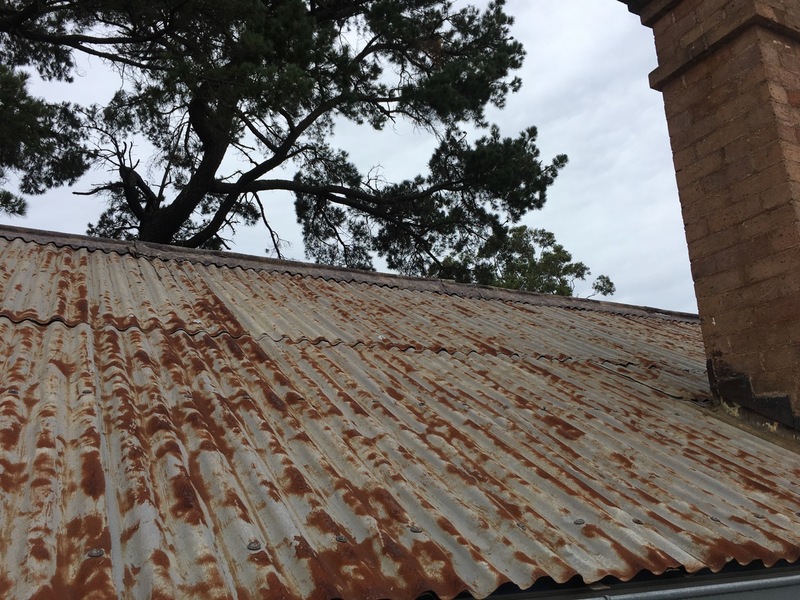 In fact its tiny, but every bit of roof space is now important in the endeavour to catch drinking water when it rains, which isn’t very often these days. Funnily, it starts to shower as the delivery truck arrives, so Janine and I install in the rain. Tragically, it clears up just as we finish, but we are ever hopeful that it will continue over night and for the next few days. The previous new tank is now half full from the occasional showers that we have managed to now capture. Every bit counts if we are to continue watering our garden plants with drinking water, while we wait for that big storm that must come someday and fill the dams again. The new, larger grey tank is down the back on the right, under the bottle brush tree. 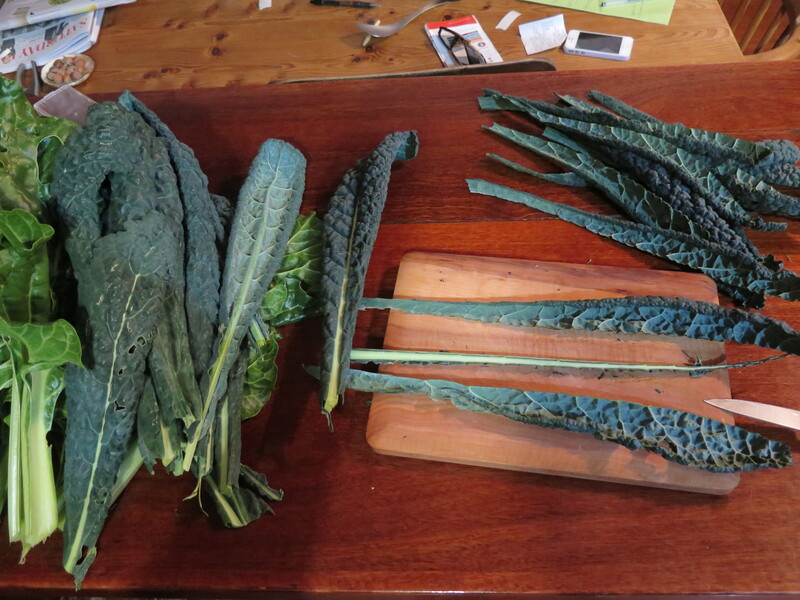 We bake vegetables fresh from the garden for dinner, finished with a bechamel sauce. 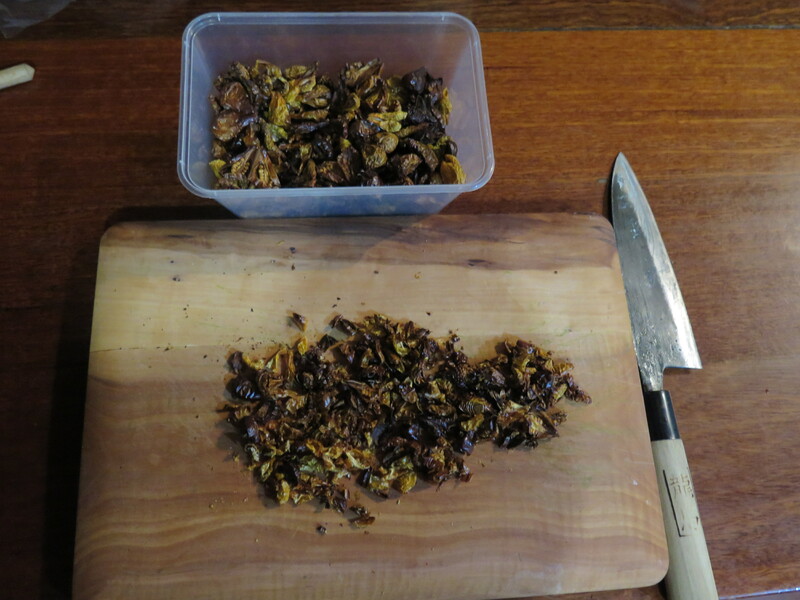 It’s delicious and uses so little water to prepare. 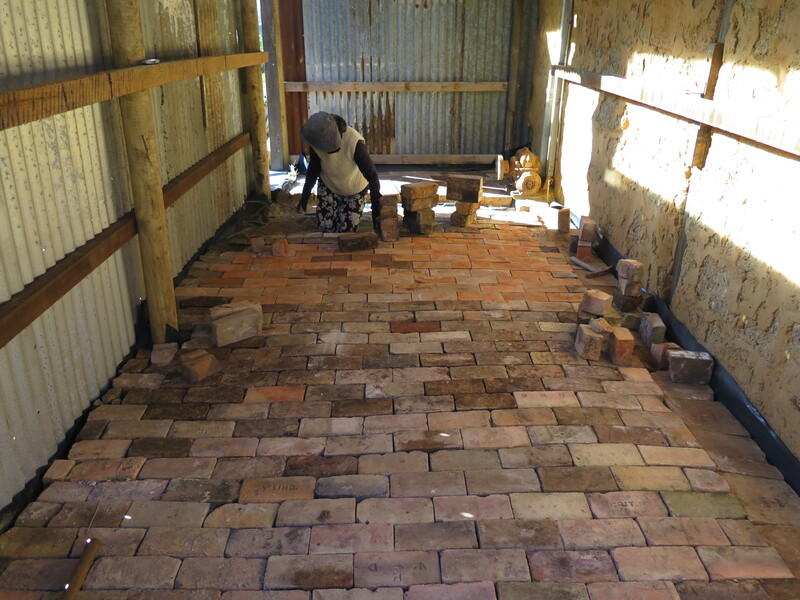 It just occurred to me as we swept some sand into the cracks in our new/old shed floor, that is made up of a mix of fire bricks and house bricks, that this is very much a potters floor and very appropriate. As I look down at the bricks and admire the patina of age and use, with all the varying hues and textures, I start to see the brand names of the various manufacturers. Here in front of me under my feet is a brief history of refractory brick making in Sydney in the post war period. It doesn’t escape my attention that everyone of these companies that made these firebricks all around the Sydney region are all now gone and defunct. Everything is made in China now. 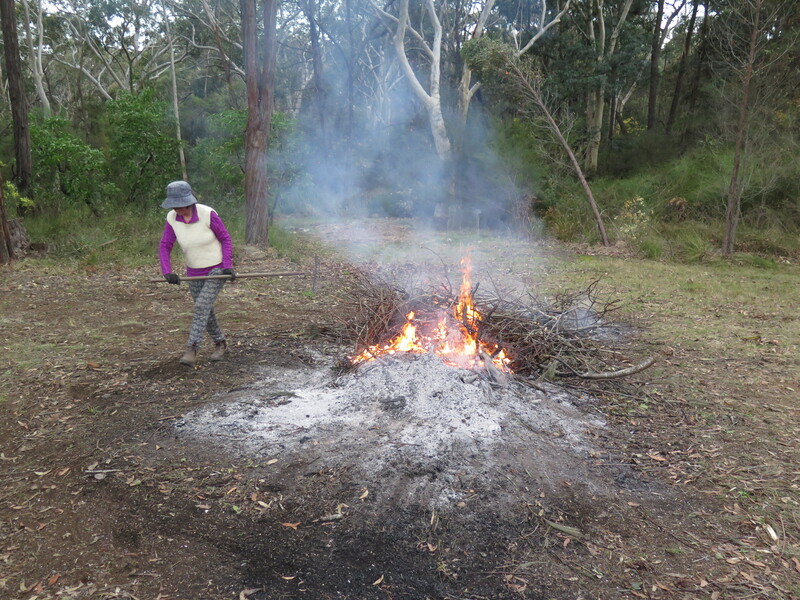 In fact, I believe that I am probably the last refractory fire brick maker left in the greater Sydney area, if not all of New South Wales. I can’t think of any others, and we only make fire bricks for our selves, for use in our own kilns. All of the old brick makers were bought out by the big multinationals and closed down. The sites were sold off for re-development and all the new stock of bricks were then imported. We don’t manufacture anything here anymore. We only operate warehouses for foreign multinationals to distribute imported product. Some of the above bricks are; Newbold General Refractories, Dive (Matraville), Illawarra fire brick Company, Waterloo Fire Brick Company, Woodall Duckhams, Vulcan, Bulli, Darley, Grit’A’, Ordish and Booths Medium Refractories. This is in no way an extensive list, it is just the ones that came out of that small kiln that we dismantled, and the ones where the logo was laid upwards, so that I could photograph them. We have lost so much in the past 4 decades. I am preparing for a new research exploration project, but while I plan and organise, we decide to take a week off from the pottery to catch up on a few outstanding jobs. The weather has been beautiful all this week. The best winter days are like this with frosty nights followed by sunny days with no wind. Glorious days for working out side. 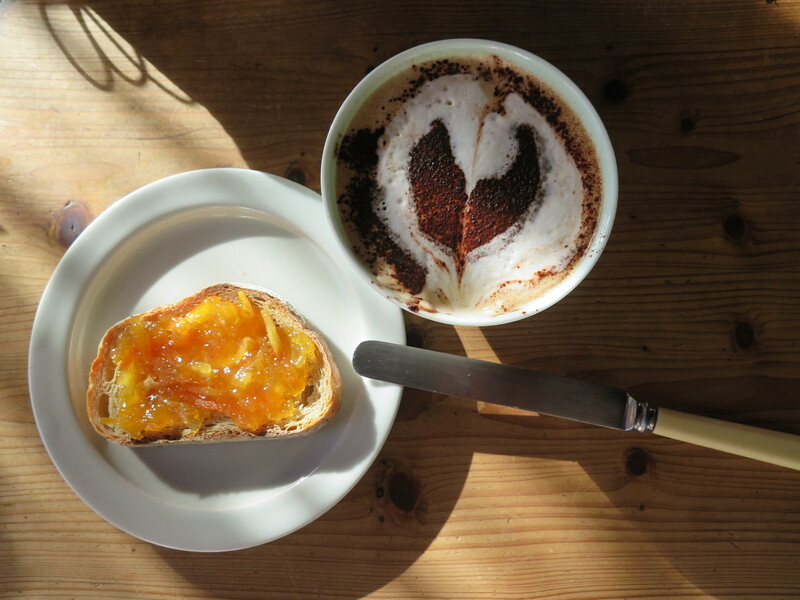 We breakfast on marmalade and toast with coffee, and then the Lovely spends couple of days burning off all the orchard fruit-tree prunings to make ash for glazes, while I start working on the new shed. We decided to build an addition to the kiln shed to create some extra storage space, while at the same time it allows me to create some space for a new chicken coop. We raised chickens and ducks here for 25 years, but we had a rather traumatic event with a pack of local village dogs that killed almost all of our birds in one savage attack. 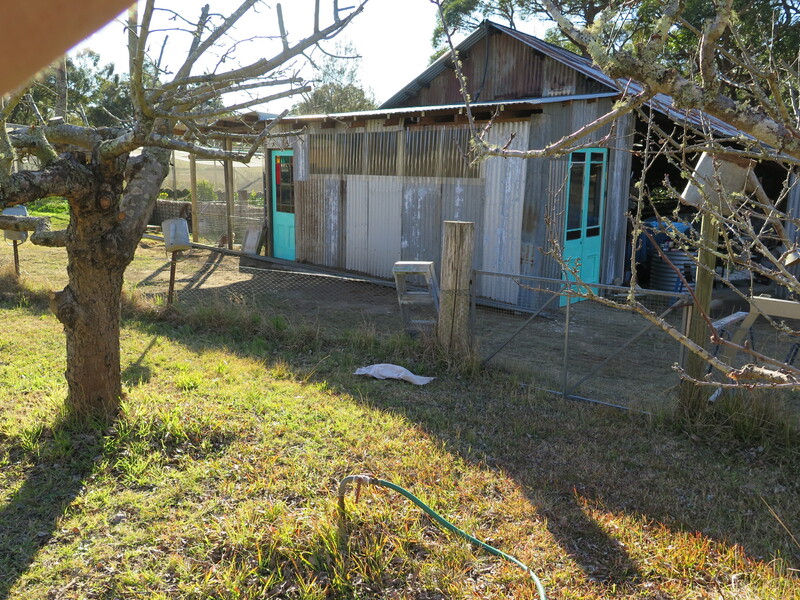 The old chook shed was somewhat degraded over time and the wire somewhat rusted and frail. It offered no real protection from the frenzied pack of dogs. 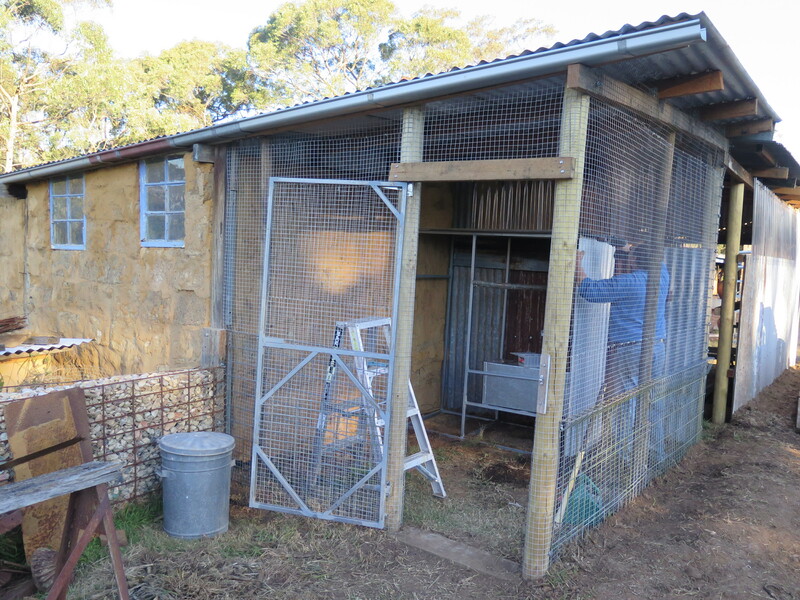 I decided that I wouldn’t get anymore chickens until I built a stronger, steel-reinforced chook run. The time has come now and it is done. 25mm. square, welded wire mesh with 6mm dia steel weld mesh dug down into the ground 300 mm. 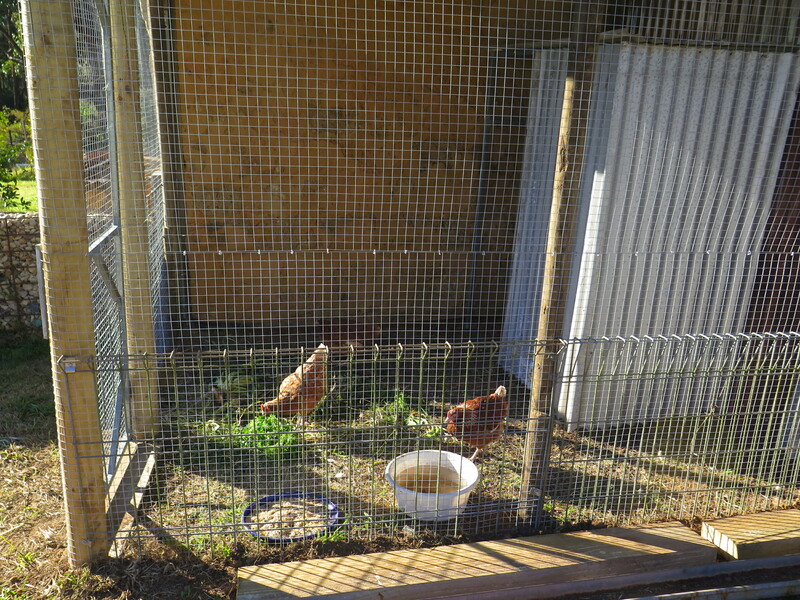 We now have 3 brown chooks at point of lay and are looking forward to our own fresh organic eggs again. The chicken run is quite small, but we only want 3 hens. One or two chickens would be enough for us, but I’m told that a trio is a better number for their own comfort and companionship. Once they are settled in we will let them free range all day, just as we did in the past. Only locking them up at night to protect them from foxes. Chickens are very resourceful at finding their own living out in the orchards and paddocks. Only the vegetable garden is locked up and out of bounds to them. They can be very destructive in a garden, digging up seedlings and excavating large dust bath holes in the soft, moist composted soil. The other two thirds of the shed is a storage space for all the stainless steel sheets and other kiln building paraphernalia that I have to keep in stock, plus a small space for garden tools and the wheel barrow. We decide to pave the floor with bricks. 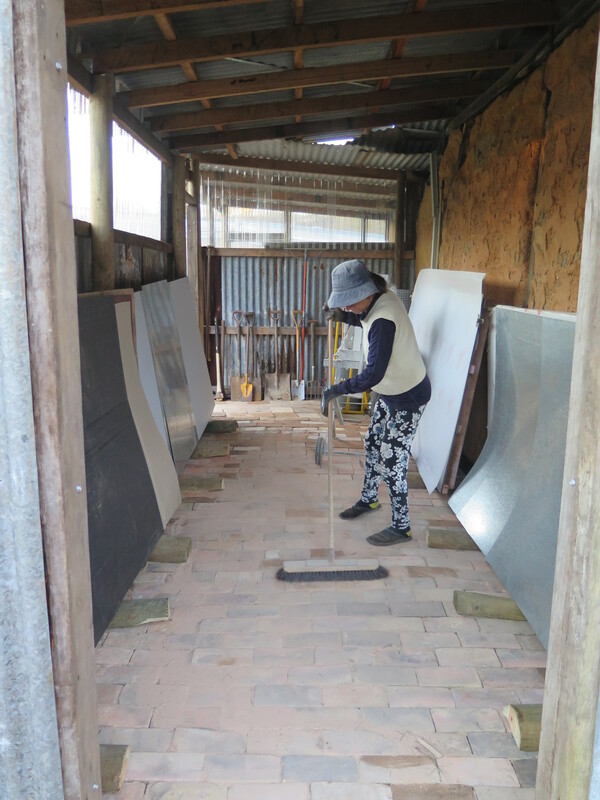 This wasn’t in the original plan, but it seems the right thing to do to make the shed floor moisture proof and flat, so that I can wheel my brick cutting bench in and out easily. We dismantle a couple of old, early wood fired kilns that have been in the garden for over thirty five years and are no longer used. The used bricks have a lovely patina of use and age about them. We lay them over a sand and black builders-plastic membrane substrate to keep the shed dry. 500 bricks later, it all comes together rather well. 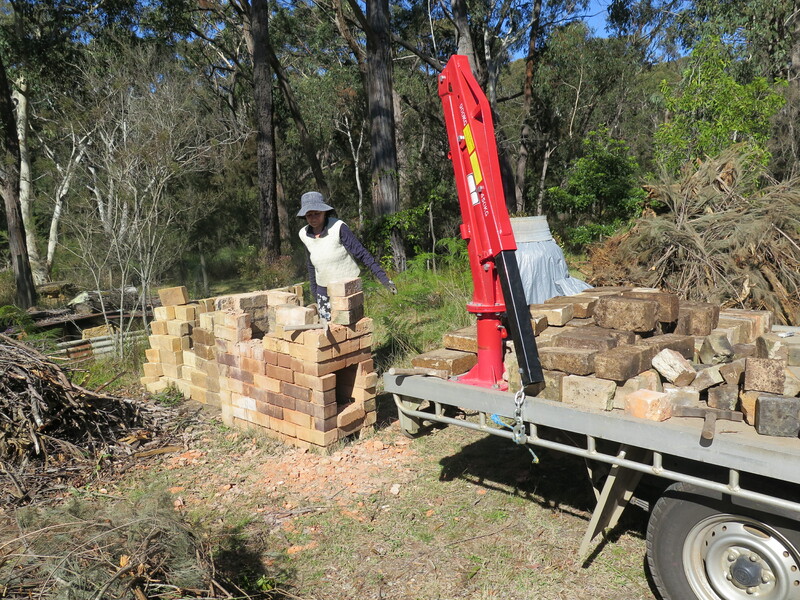 A good days work to dismantle, clean, stack, transport and lay all these bricks in one day. This shed is built from nearly all recycled materials. 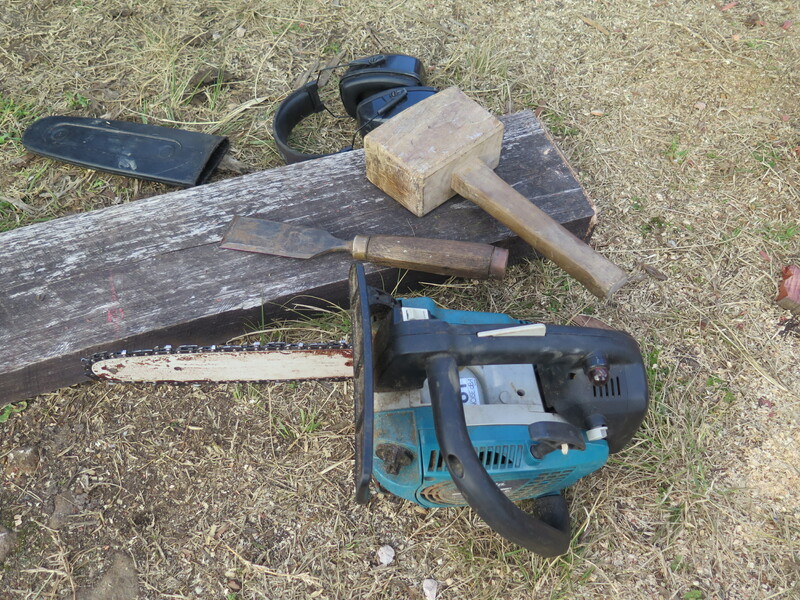 I only had to buy a few sticks of hardwood for the rafters, nearly all the green poles were recycled from vineyard trellises and the iron sheeting for the walls and roof were all given to us when friends re-roofed their house. 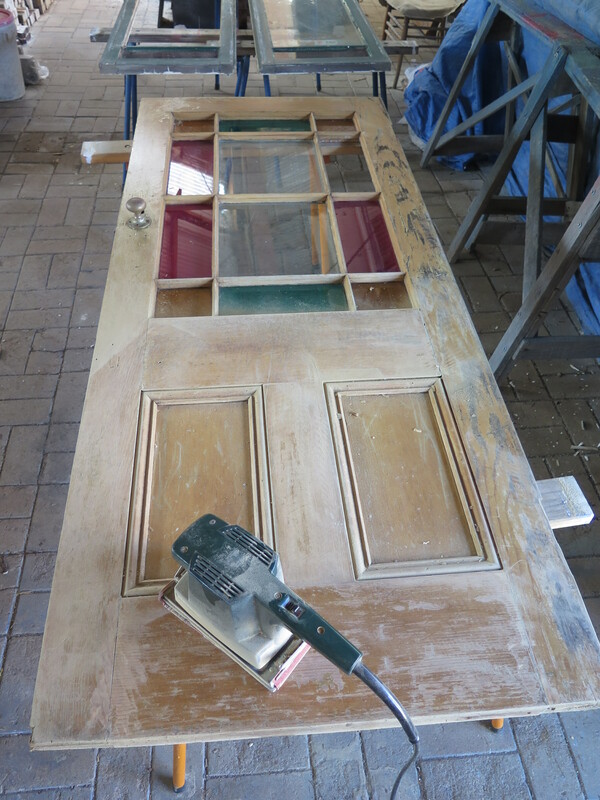 To complete the build, Janine suggests that we use some french doors and a solid timber single door that a friend found on the side of the road at council clean-up day and delivered here to us thinking that we might be the kind of people that could find a use for them, and we have. We get stuck into it and don’t seem to be able to stop until it is really formally finished. We hadn’t planned for such a proper shed. 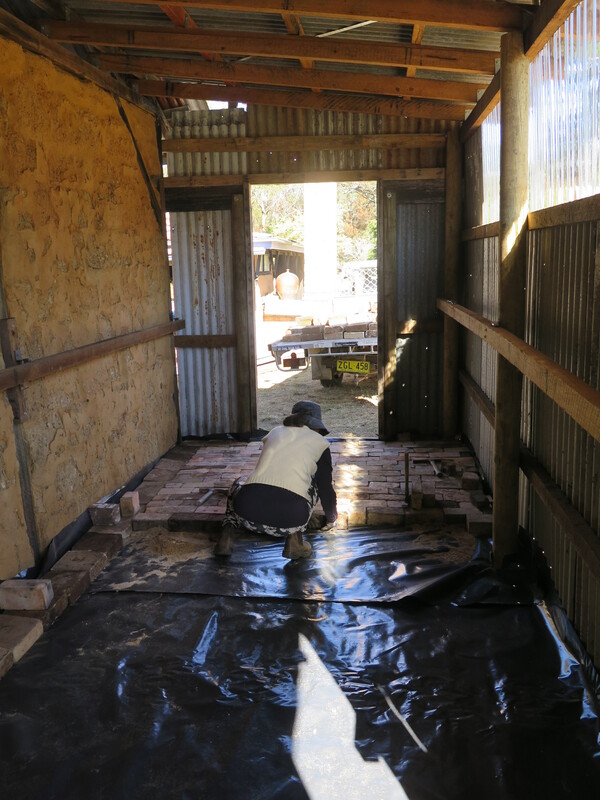 It started out as just a lean-to roof to keep the rain off the mud brick wall and an excuse to re-build the chook shed. 5 days later we have a beautiful dry, flat, level and secure, well-lit shed. It’s a thrill and a novelty to be able to let an idea go for a walk and have it end up so beautifully. Just using what recycled ‘rubbish’ we have collected here from what others have thrown out. It is almost too good for just storage. I didn’t intend to do this project, this week. I have a lot of other things that I have to do, but here it is and I’m really pleased with how it has turned out. We put a bit of effort into restoring the old doors. I need to replace a broken sheet of glass in one french door, which Janine organises and putties into place beautifully. 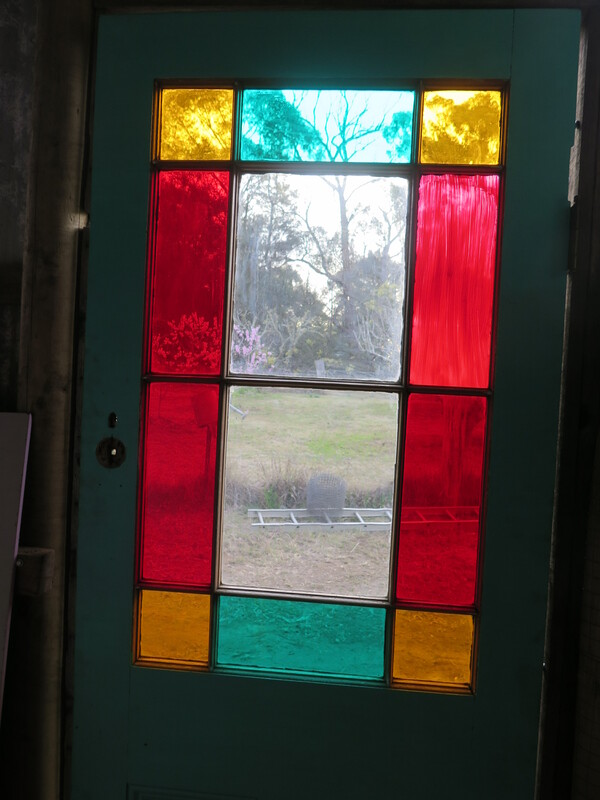 There is one broken sheet of gold-red glass in the single door. We don’t even bother to get a quote on that. It will be too expensive to justify for a shed door, so I cut a small piece of perspex and we paint it with red poster colour – you can hardly tell. 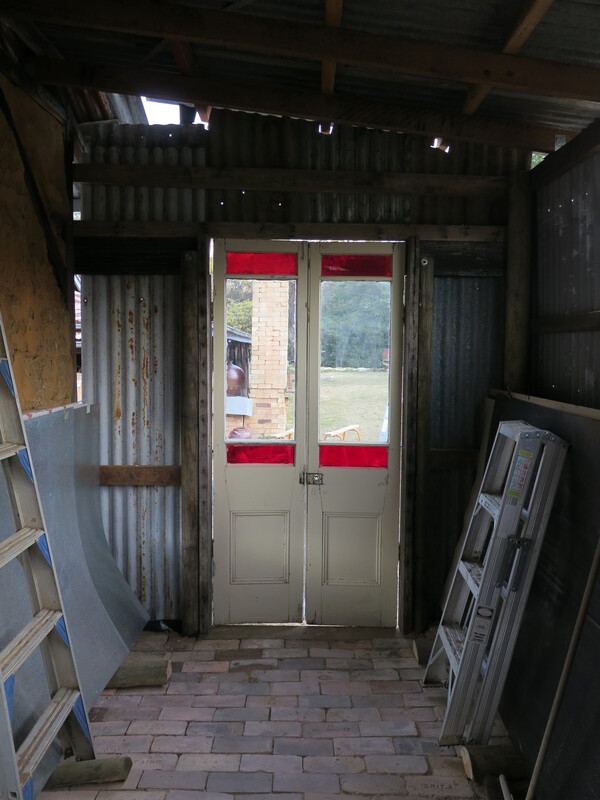 Once the doors are cleaned and painted, we end the week with a new/second-hand, recycled shed built for just a few hundred dollars and using a modern combination of old and new tools – because I can. 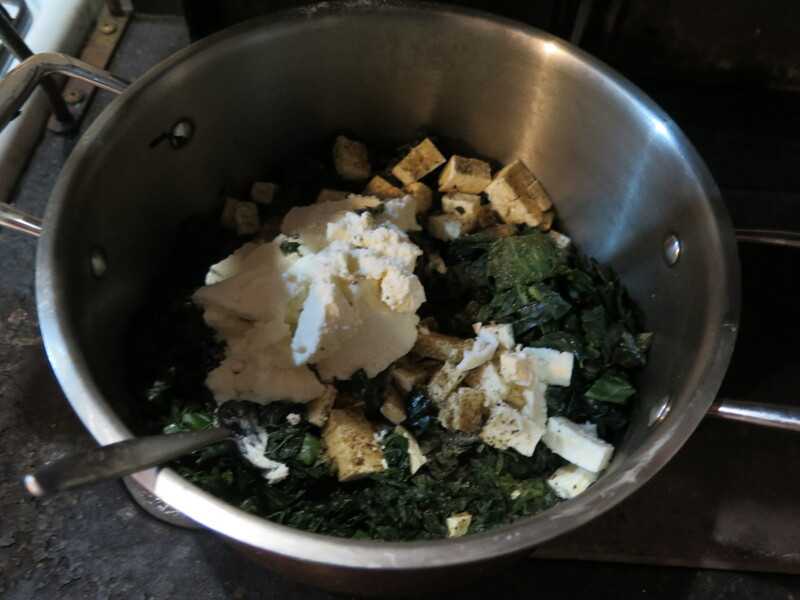 We dine on steamed kale from the garden with our own home dried tomatoes and mushrooms, all softened with a little ricotta and some diced feta for texture. All suitably self-reliant for a hard-working couple of amateur builders.